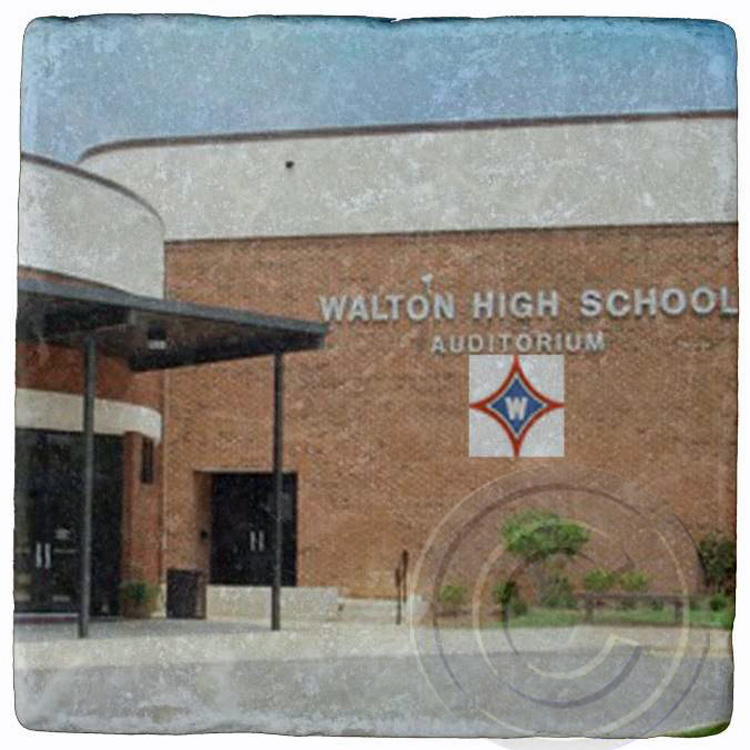 Walton High School, Marietta, Ga. Marble ,Stone Coaster. Home > Lots more GEORGIA COASTERS > Marietta, Ga. > Walton High School, Marietta, Ga. Marble Stone Coaster. Walton High School, Marietta, Ga. Marble Stone Coaster. The ORIGINAL Artist of Atlanta Landmark Coasters. Photos, graphics and designs by Hazel Wagner. The nicks and chips are intentional. Sold as individual coasters but see my other selections to make a set and combine shipping. Cork backing to protect your furniture. Copyright symbol will not appear on coasters.